American Christmas has also expanded outwards, as American Jews, as well as other Americans hoping for a more inclusive Holiday, have put greater emphasis on Hanukkah, a feast of comparatively little historical importance for Jews. Christmas has also gained a mythology as a pagan festival, and the Santa Claus mythos has taken on new life, with its own liturgies that exist apart and completely separate from the official Christian liturgy. Santa Claus, in his current form, was more or less manufactured by the arch-American Coca-Cola Company. Christmas movies, even the classics such as It’s a Wonderful Life and A Christmas Story, can exist without reference to the nativity, even if other “supernatural” events occur. (It’s a Wonderful Life, of course, deals with angels, but not in any way recognizable by the orthodox creed.) 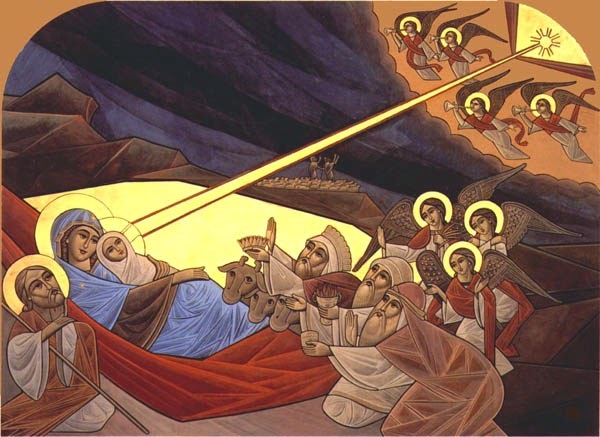 The Christmas holiday and traditions, then, are broadened in attempt to allow participation to even those who want no part in the narrative of the nativity. Is all of this just consumerism? Well, some of it is, but that answer isn’t quite so simple as to “Put Christ Back in Christmas” or to “Remember the Reason for the Season.” We can’t simply replace the secular or pseudo-secular liturgies of American Christmas with a Christ-centered mythos and expect to be able to capture the truly revolutionary element of Christ’s nativity. The answer is not to retreat away from all the secular festivities, especially not those of feasting and merriment. If there is one thing thing that the Nativity and, by extension the Incarnation, should teach us, it is that the world is not all bad, indeed that it is fundamentally good, and that there are some things truly worth celebrating in this world. We cannot take the consumeristic or otherwise banal nature of American Christmas and conclude that the bustle of gifts and shopping sprees and Christmas hams and gift opening ceremonies and NBA games are just all too much for such a holy day. The reality is that American Christmas is simply not enough, that nowhere in the great expensive spectacle does anything do justice to the claim made by the Nativity itself: “For the Son of God became man so that we might become God.” (1) Could any ritual of ours, no matter how extravagant, possibly do justice to such a claim? The whole celebration seems to pale behind such a monumental claim. If we are guilty of anything, we are guilty of not celebrating Christmas enough. The biggest American holiday is not nearly big enough to do justice to what it represents. Our own rituals will always pale in comparison to the Incarnation, but this feast is a response, not a creation of our own. Certain things, the simple beauty of Christmas carols, the love between a family together, can reflect this. The birth of the Savior should be met with as much exuberance as a child facing a whole pile of unopened presents, at the very least. Perhaps it is truly only the children understand Christmas. (1) St. Athanasius, De inc, 54.